Davis Orthodontics is a proud supporter of Plan Canada and on behalf of our patients, their family and friends; we have sponsored a child by the name of Jose Gregorio serrano Mejia. 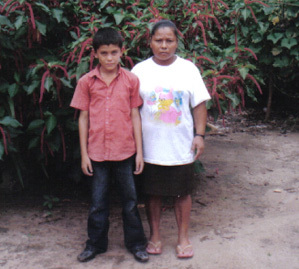 Jose lives in the community Laguna Verde, Honduras and was born June 20, 1998. Jose’s family lives in a house made of adobe with tile and slate roof. His father, Jose, is a peasant farmer and his mother, Maria, is a housewife. Jose attends primary school and it takes him less than 30 minutes to reach school. If you are interested in sponsoring a child, contact plancanada.ca or call 1-800-387-1418.